Nutone Vacuum Cleaners has been recognized as one of the top brands with regards to Central vacuum cleaners. As per Builder Magazine, Nutone is The Leader in Central Vacuums. Any of central vacuum cleaners from Nutone is amongst the most wanted built-in appliances all over the US. Being endowed with quality of versatility, Nutone vacuum cleaners are valuable and convenient as cleaning even the smallest area of the house is made incredibly easy by them. The user just needs to insert lightweight hose in to wall inlet. At the next instant, one would find that suction has begun; that too, in a powerful manner. The system would shut off after removing the hose. Model VX1000  Model VX1000 has been modified in terms of its motor. The construction is different as compared to the other models. Filtration system is also found to be better. Even those dust particles which can be seen solely under microscope can be removed through this model. Installation process isnt all that tough. Model VX1000C  Model VX1000C is being provided with anti-microbial protection; along with HEPA filtration. Anti-stick technology enhances the performance of this machine. Bacteria and dust get trapped in a better manner than before. EasySnap filter change mechanism is capable of closing the opening after removal. 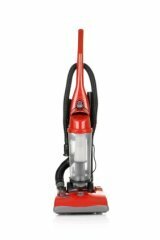 Model VX475C  This model helps in making the home cleaner. Also, it improves quality of indoor air. Anti-stick technology, along with HEPA filtration system has increased demand on the part of VX475. Novel motor designs help in deep cleaning; much better in comparison with traditional vacuums. Model CV850  This model is such that no exclusive wiring is required. One can go for this model; if he/she intends to obtain maximum performance with respect to cleaning. Mounting bracket makes ways for quick, secure, and easy wall-mounting. The basic advantage is that emptying is needed just twice in a year. Model CV350  This unit happens to operate on a dedicated circuit having amperage of 15 A. Tank capacity is of 6 gallons. Emptying is required just twice a year. Built-in low voltage switch controls and overload protection are being made available. An inlet of 240 V, 15 A is required. Such a mid-size unit with two-stage motor proves to be perfect in terms of cleaning petite to medium-size homes; i.e. up to 3000 sq. ft.
Model CV353  CV353 happens to deliver an extremely efficient cleaning; that too, from single three-stage motor. Its perfect for homes having area up to 4000 sq. ft. The tank has capacity of 6 gallons. Mounting bracket makes provisions for secure, easy, and quick wall-mounting. Housings are made up of rugged steel. Model CV450  CV450 can be described as an Inlet On Power Unit. It is provided with a convenient switch.